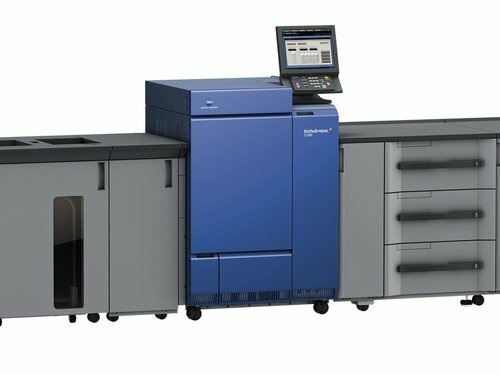 Repographic centers and print providers have also looked to the Konica Minolta Bizhub Press C1085 for production in an extensive range of professional facilities. With leading media and finishing capabilities, the C1085 digital press is unmatched in its versatility and adaptability. A similar model, C1110 also performs at the same level. While demand for the C1085 is decreasing (aided by an increasing amount of data stored in a digital format), Kingnote has tapped into external markets who have a demand for these used machines. Thus, you can rely on us to purchase your Konica Minolta Bizhub Press C1085 at prices far above the market. Make selling your Konica Minolta Bizhub Press C1085 easy. Of course, this is only one of many models we take! To find out if we purchase your Used Konica Minolta Copier, Contact Us for an immediate response. Fierfy 308/310 may or may not necessary depending on the model and pf 707. Fill out the form below and we will connect you with a purchasing agent for quick quote soon!